Corrosion of metallic substrates is responsible for losses amounting to approximately 3-4% of GNP in developed countries and, therefore, its mitigation will lead to enormous societal benefits. Herewith, we propose a combined computational and experimental study for unveiling the self-healing mechanisms associated with smart nanocontainers (SELMA) used in corrosion protection of metallic substrates [1, 2]. SELMA is based upon technology patented by team members at UA and European Industries ([PA3], section 3.4). Herein, we will focus on nanocontainers based on layered double hydroxides (LDHs) [3-5], which allow controlled and local release of the inhibitors as a function of an external physical-chemical trigger related to the corrosion process (anion exchange). More specifically, SELMA will focus on three individual stages of the overall self-healing mechanism (cf. Scheme 1), namely: 1) the structure of LDH nanocontainers with incorporated corrosion inhibitors and their interlamellar reactivity; 2) the determination of the kinetics associated with the release of corrosion inhibitors from LDH nanocontainers; 3) the understanding of the structure and energetics coupled with the process of adsorption of corrosion inhibitors onto metallic surfaces which leads to the formation of the protective layer. The organic corrosion inhibitors chosen for this study are based on heterocyclic compounds (cf. Scheme 2), which are amidst the most promising to replace commonly used but less environmentally friendlier species. Moreover, corrosion accelerators (i.e., poor inhibitors) which are isomers of corrosion inhibitors will also be considered (cf. Scheme 2) for gaining a deeper understanding on possible molecular descriptors that dictate the corrosion inhibiting potential. In addition, LDHs are selected as nanocontainers for the organic inhibitors because not only of the excellent behavior under realistic corrosion conditions [PA3] but also because they are biocompatible and are quite promising for the stabilization, targeted delivery or controlled release of a variety of molecules in a range of applications from catalysis to pharmaceutics. For this reason some of the conclusions related to the structure of LDHs, their interlamellar reactivity, as well as the release of functional organic molecules, may also be applied to other fields of major relevance. The metal surfaces that are considered in the project are aluminum (Al) surfaces because these are among the most used in processes and products of leading industries (e.g. aerospace, automotive, electronics, packaging or nanotechnology). In order to understand the incorporation and release of corrosion inhibitors into and from LDHs, together with the protection mechanism of metallic surfaces by inhibitors, this project will employ classical and quantum computational approaches [6,7], running along several length- and timescales, for complementing experimental studies based on microscopic, spectroscopic and electrochemical techniques. This unified approach has the potential to save material and human resources through the optimization of the application conditions as well as the establishment of guidelines that can orient the future synthesis of novel, more efficient and environmentally friendlier corrosion inhibitors, capable of being stored in nanocontainers. As a result, the knowledge generated by this project will not only have a deep scientific impact, but can also have technological repercussions in the future leading to the creation of added value products ensuing revenues to CICECO, the University of Aveiro and the companies with which the University has ongoing partnerships. SELMA will benefit from the excellence of team members involved which have what it takes to successfully bring a valuable contribution to the advance of the frontiers of corrosion protection. 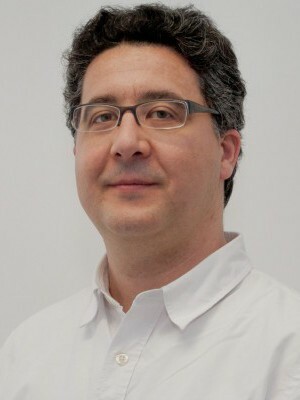 The PI (JG) is a highly reputed Computational Chemist, who awarded several prizes including the prestigious Vicente de Seabra medal 2010 for Young Chemists by SPQ, and has ample experience in computational studies of diffusion, adsorption and reaction at interfaces and surfaces [PA1-PA2, http://sweet.ua.pt/jrgomes/]. 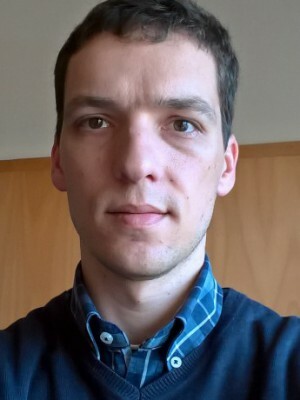 Core-member JT is a young researcher, who awarded several prizes including the 2014 Young Researcher Prize by SPE, with solid experience in surface protection with smart nanocontainers [PA3-PA4], and core-member AB has proved experience in the electrochemical characterization of coatings properties and in modeling corrosion [PA5]. These three members are already collaborating and supervising the activities of a post-doc researcher (team member TG). 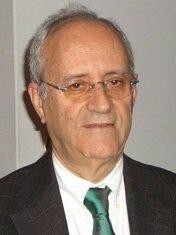 It is expected that the novel combined approach considered by SELMA will lead to the establishment of a new multidisciplinary scientific branch of research in CICECO concerning the computational study, anchored on experimental evidences, of the protection mechanism of corrosion inhibitors and their controlled release from nanocontainers. 2018, APPLIED CLAY SCIENCE, 163, 164-177.